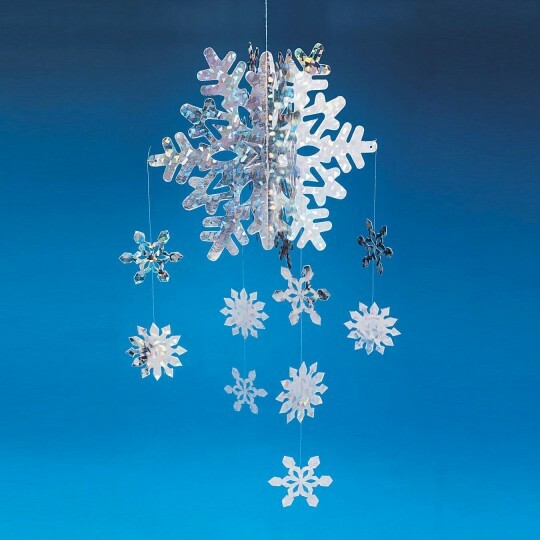 Create a winter wonderland with this 22" 3-D mobile. This goes well with the Winter Wonderland ceiling decorating kit. The small snowfalkes hanging down are a bit fragile but all in all a good product. I bought one for each my kids and their families and one for myselfI did find it a bit delicate and it was bumped a couple of times and fell apart. But I loved it.